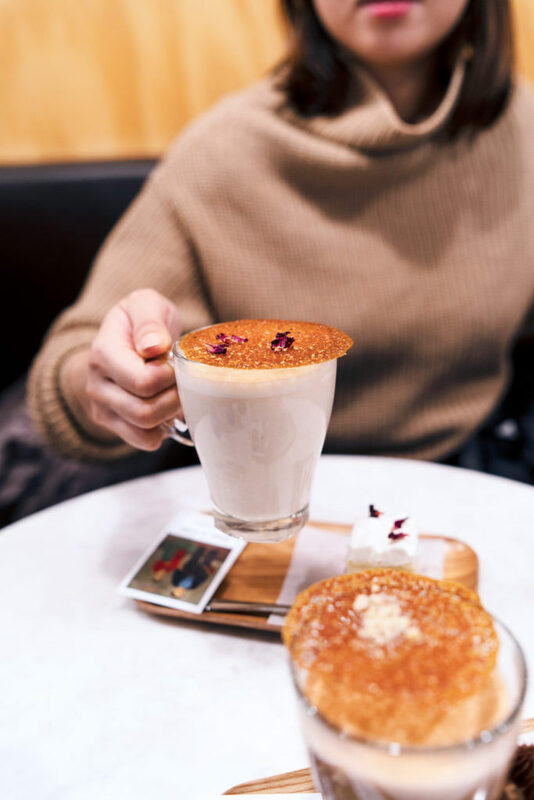 Cheers to the perfect winter drink that’s like a warm, cozy, snug hug. Happy National Hot Chocolate Day! 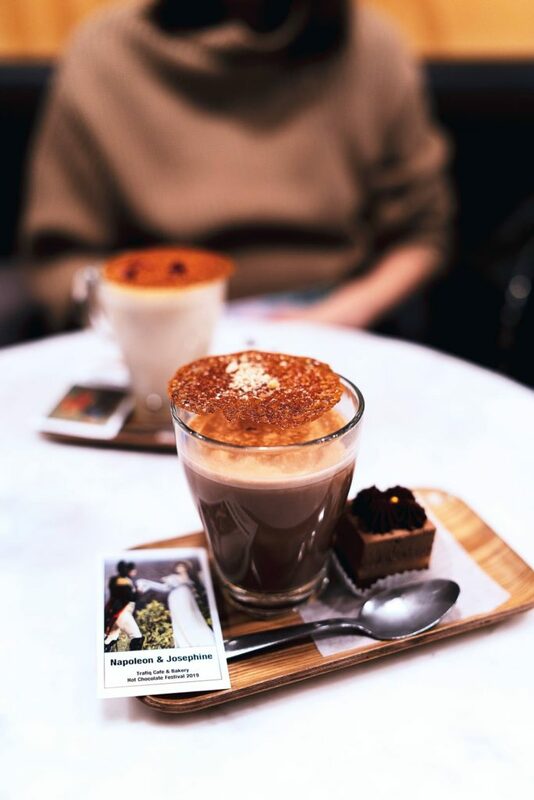 Hot Chocolate Festival is on until Feb 14 and most recently I visited Trafiq to try their participating hot chocolate. 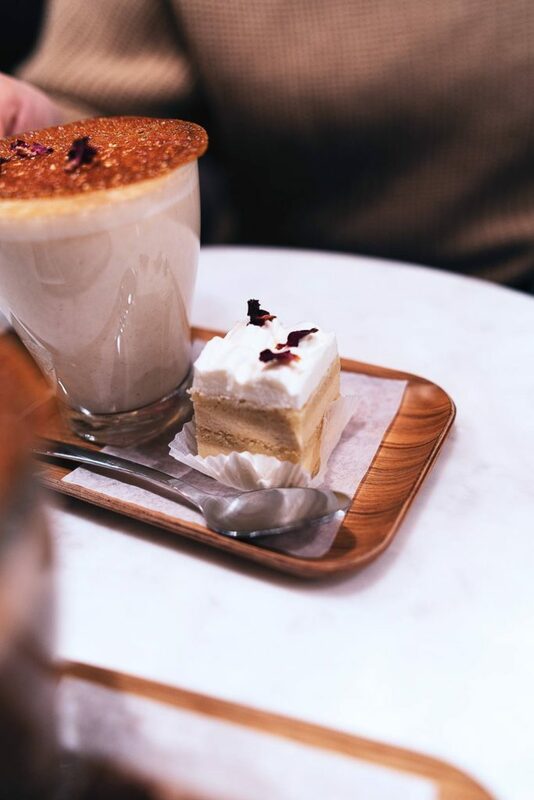 The Mexican-inspired “Diego and Frida” featured Tres Leches hot chocolate made with Cacao Barry 34% Zėphyr white chocolate, sweetened condensed milk, cream, and a hint of cinnamon and rose petals. Served with Tres Leches Petit Four. As I’m don’t white chocolate, I went for the French-inspired “Napoleon and Josephone” praline-orange hot chocolate with hazelnut, Cacao Barry Guyaquil 64% bitter-sweet chocolate and a hint of orange blossom. Paired with L’Orange Petit Four. I enjoyed the blend of citrusy and chocolately flavours. How are you celebrating National Hot Chocolate Day?